It’s time to stop thinking about getting through winter and to start focusing on enjoying it. To do this, your home needs a high-efficiency furnace. This powerful heating solution combats the frigid outdoor temperatures without melting away your budget. At Krinkie’s Heating, Air Conditioning and Plumbing, it’s our goal to fire up a budget-friendly way to heat your home. That’s why when you, as a Minnesota homeowner, rely on our furnace services for your heating needs, you can guarantee your home will be warmer, your bills will be lower and those chilly winter months will go from “brr”able to bearable. When temperatures in Minnesota drop, don’t get left in the cold. Krinkie’s furnace replacement and installation services will provide your home with warmth from the inside out. So say goodbye to the winter chill and say hello to a cozier home. Furnaces are built to last—but that doesn’t mean they are indestructible. From a minor hiccup to a major glitch, the need for a furnace repair is bound to happen. And when it does, don’t delay. Contact Krinkie’s team right away! 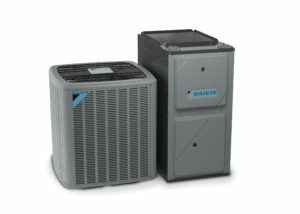 You can count on us to fix your unit quickly with a dependable solution that lasts. If you want to stay warm all winter long, then you need to keep your furnace’s fire alive. To do this, you must maintain your system’s wellbeing—and, as a Minnesota resident, you’re in luck. Regularly scheduling furnace maintenance services with Krinkie’s team is the sure-fire way to protect your unit from costly repairs, extend your furnace’s lifespan and create system efficiency that you can truly cozy up to. Take comfort in Krinkie’s superior furnace services by filling out our online form or calling us at 651.488.5555 today!